A return to Namaaste Kitchen saw us try out a few dishes from their new menu. To start we had Onion Bhaji and some Papadoms & Chutneys. Both well presented and tasty! For our mains we tried the Stir-Fry Okra With Raw Mango, the Jeera Aloo: potato with cumin and the Motimahal Butter Chicken: in creamy butter sauce with ginger and crushed fenugreek leaves. 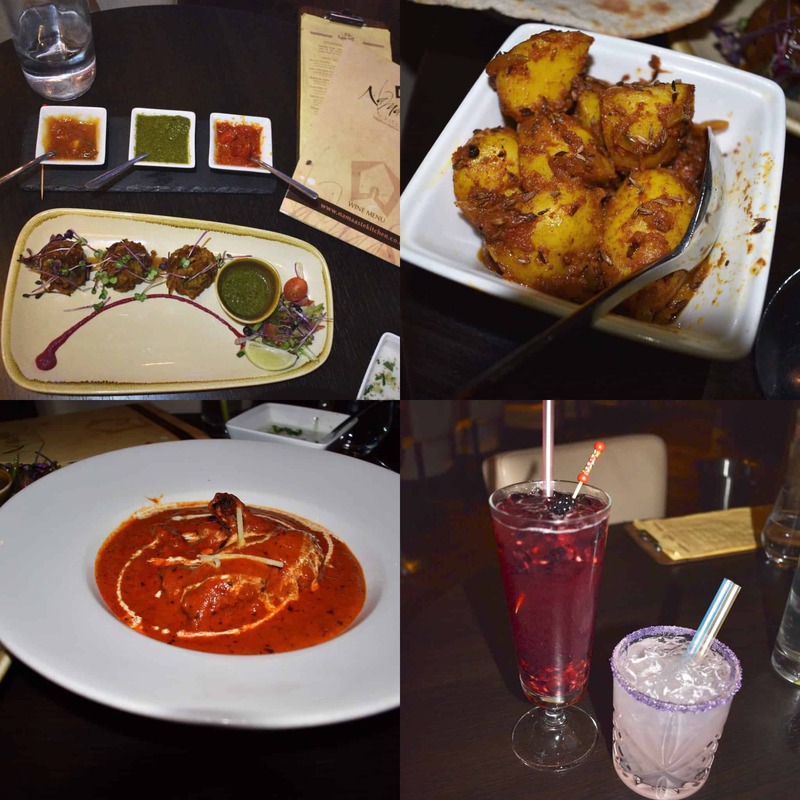 The mains were all very tasty, I really enjoyed the flavours of the Jeera Aloo and the Butter Chicken was creamy and had lots of meat. To finish we tried some Mango Sorbet which was smooth and delicious. We had some really good cocktails too throughout the evening: the Summer in Paris: Ciroc, Cointreau, elderflower, lychee juice, the Kiwi And Cucumber Martini: Absolut vodka, cucmber, fresh kiwi, elderflower lime and the Vanilla Berry Mocktail: fresh raspberry, blackberry, vanilla sugar, cranberry juice & apple juice. They were all presented well and tasted fantastic! As usual the service was great and we enjoyed our evening.